listersubcontract is a division of James Lister and Sons Limited, which was founded in Tipton in 1874 by a local schoolteacher, James Lister, as a hardware and ironmonger shop. The business expanded into industrial supply, now listersupplies division, providing janitorial, lubricants, fasteners and tooling to a wide range of companies, from branches across the Midlands. listerfluidpower was started in the 1970's, supplying to many of the same customers, who appreciated the strong Lister service ethic, with an expansion in the late 1990's into mobile hose service. In 2010 listertube was formed to provide a tube manipulation service. listersubcontract evolved, as a separate business division, from the huge range of additional services that we were offering to existing customers, providing subcontract light engineering. 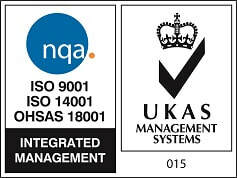 We work to high standards; our business is accredited to ISO 9001, ISO 14001 and OSHAS 18001 and all of our engineers are time-served/ qualified professionals. We constantly reinvest in the business to enhance our capabilities and support to customers. Our whole ethos is centred around being highly responsive and keeping our promises. If there ever is a problem we’ll tell you as soon as we know. But most of all we organise and plan carefully so that everything runs smoothly. Our Smethwick and Redditch locations are the hubs for subcontract engineering services although our other branches in the Midlands and South Wales provide a strong logistics support. In addition to a variety of specialist equipment the listersubcontract team are able to call upon the considerable expertise, purchasing power and resources of the other lister divisions. We are, of course, happy to provide no obligation quotations and will take on jobs that are short-term, medium-term or ongoing.